Rose Blossom Legacies: Card Kit - Limited Supply! Card Kit - Limited Supply! I have put a card kit together using the remaining cards that were leftover at my recent Card Buffet. 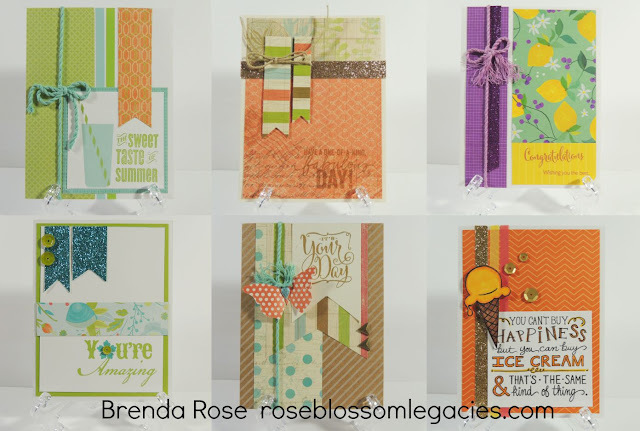 These cards are pre-cut, stamped, and packaged. There are 6 cards in the kit, and I only have 6 kits available. If you'd like one, hurry before they are gone! When you order, they will go in the mail right away! For other kits still available, click on the tab at the top of my blog that says "Kits for Sale."